Welcome to our directory of supporting services for our alpacas at Flagstaff Alpacas, and services and products provided by Flagstaff Alpacas. We hope these links help your understanding of the business and lifestyle opportunities for owning these wonderful animals. Andy and Tracey Kerr - Bessborough Alpacas, Masterton - Select this Link! Black Wattle Farm B&B, Queensland, Australia - Select this Link! 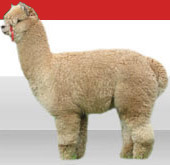 Alpaca Connect - bringing alpaca breeders together: Select this Link. Kidz Go Farm Stay Accommodation - for children friendly accommodation - Flagstaff Alpacas is a keen member! Select this link. Great New Zealand - Select this Link. The Dunedin Travel Guide - Select this link. NZ Stays New Zealand - Select this link. Dunedin Entertainment Guide - Select this link. AgBrain - Select this Link. NZ Search - Select this link. Agriculture Business Web Directory - Select this link. New Zealand Business Directory - Select this link. Zip Leaf - Select this link. Global Open Directory - Select this link. TropHort - Earth and Life Sciences- Select this link. Best-Pet-Links, The Big Web Directory all about Pets! - Select this Link. Rural SME: Select this link.